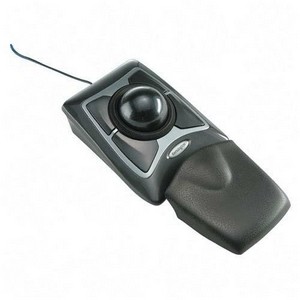 The best trackball Mouse ever made has just gotten better. Designed for PCs and Mac's, the new Expert Mouse® employs Kensington's Diamond Eye® optical technology for smooth, precise cursor movement. Surrounding the ball, we have a brand new implementation of our award winning Scroll Ring® that puts scrolling right at your fingertips. More comfortable than ever, the Expert Mouse® even comes with a soft new wrist rest-right in the box! You get all of these great new features along with the same, large ball, exceptional control, and ease-of-use that has set the industry standard for more than 15 years. Product height is measured to the top of the ball.